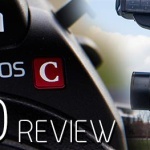 Canon’s November 2013 firmware-update for the C100 is out and I took it for a testshoot at night to see how good the new expanded ISO range is. 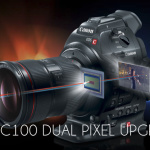 It extends from 20.000 ISO to the new magically expanded 80.000 ISO! 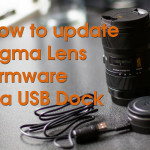 Firmware update was easy to achive as soon as I found my power-plug cable that I usually dont need, but for firmware updates you need the camera to be fully charged AND to be plugged into the wall power socket for some curious reason. After restarting the camera I went into the menu and set the “Extended Range” to on which then let’s me turn ISO over 20.000 up to 80.000! The flickering in some of the shots is from the really bad fluorescent street-lamps there, but unfortunately the noise reduction got rid of some of the flickering too! My intention was to try how good I can reduce the noise with NeatVideo’s noise reduction plugin for Premiere Pro when using the hight-iso settings and because of that I used Atomo’s Ninja2 ProRes recorder with it’s high bitrate at around 180mbit in 8-bit. I always use the internal AVCHD 24mbit recording as backup, but in this case I knew the high-iso material from a heavely compressed movie is even worst. Canon did a really great job at implementing the AVCHD codec in the C100 – the quality with the internal codec is pretty good, even in high-iso, but it gets nasty over ISO 10.000. Funny side-effect of the compression is that the small noise is getting compressed away and the the image looks a bit more noise free that with the high-bitrate Ninja2 recorder. 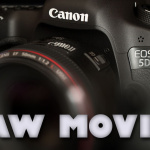 But when it comed to really high ISOs over 10.000, only the Ninja2 recorded movies still holds the details and NeatVideo’s NR-Pluging can clean up the noise pretty good – which is not possible with the internal recorded AVCHD movies over 10.000 ISO! 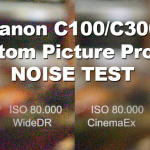 You just cannot noise-reduce AVCHD material with high-iso noise in it, it’s a mushy mess and compression hell! 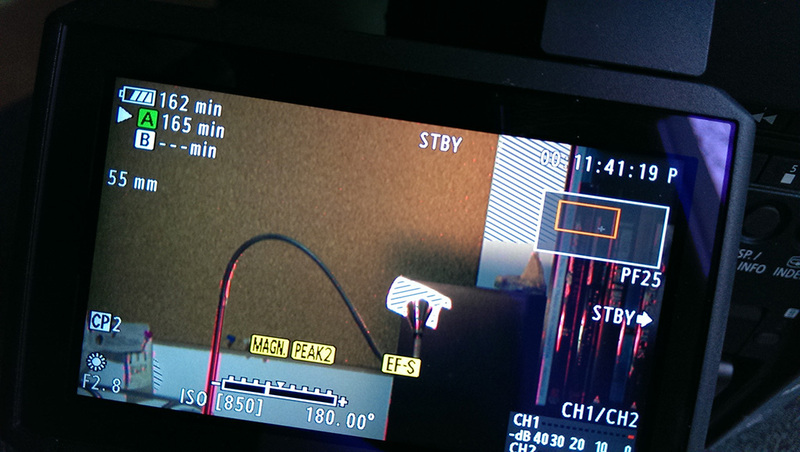 But with Ninja2 recorded material I got pretty good results with reducing noise as you can see in the video. The other great new feature is the movable expanded focus frame. Expanded focus is enabled when pressing one of the buttons the function is set, this is normaly the button #7 on the handgrip or the button #8 on the left side of the camera if you do not have it assigned to an other function. I was a little shocked because it did not work for me, the zoomed in view does not let me move the zoomed in region! The little frame inside the frame was grey and centered. It is not clear if this is a bug or a feature, but the Auto-Focus switch needs to be set to MF (Manual Focus) for the expanded movable focus area to work, then the grey frame in the top right on the LCD turns orange an you can move around the area. I found out by just reading the updated PDF manual from the the Canon website. Another new feature: Assignable buttons for menu navigation is nice to have too. 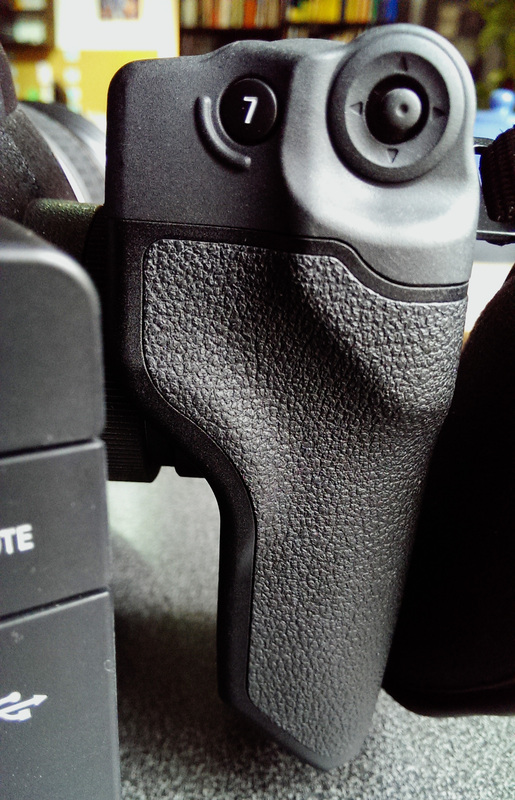 In the case you must get rid of the handgrip if you want to get smaller with the camera, for example if you want to put it on a lightweight steadycam or a gimbal. Bad sideffect is that the buttons reccomended for menu operations are the #1,2,4,5,6 (the player buttons) on the backside of the camera, but I have those assign already to other functions. Well, good thing is you CAN assign them to whatever you want! Ability to move the magnification viewing area around the LCD using the MAGN Function. In addition to the [EF-S18-135mm f/3.5-5.6 IS STM], the function to enable continuous focusing and correct aperture on a subject in the middle of the screen when one of the two EF STM lenses is attached, has been extended to include the [EF-S18-55mm f/3.5-5.6 IS STM] lens. 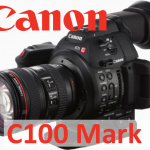 More information on the Canon C100. 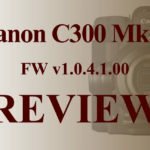 Get the new firmware on Canon’s support site. Thanks a lot for mentioning the thing with AF/MF for the magnification area!!! I was trying to figure out why I suddenly can’t move the damn magnification area anymore fo over an hour… but some Lenses I played with were on AF, some on MF… %-} That explains a lot. Thanks again!